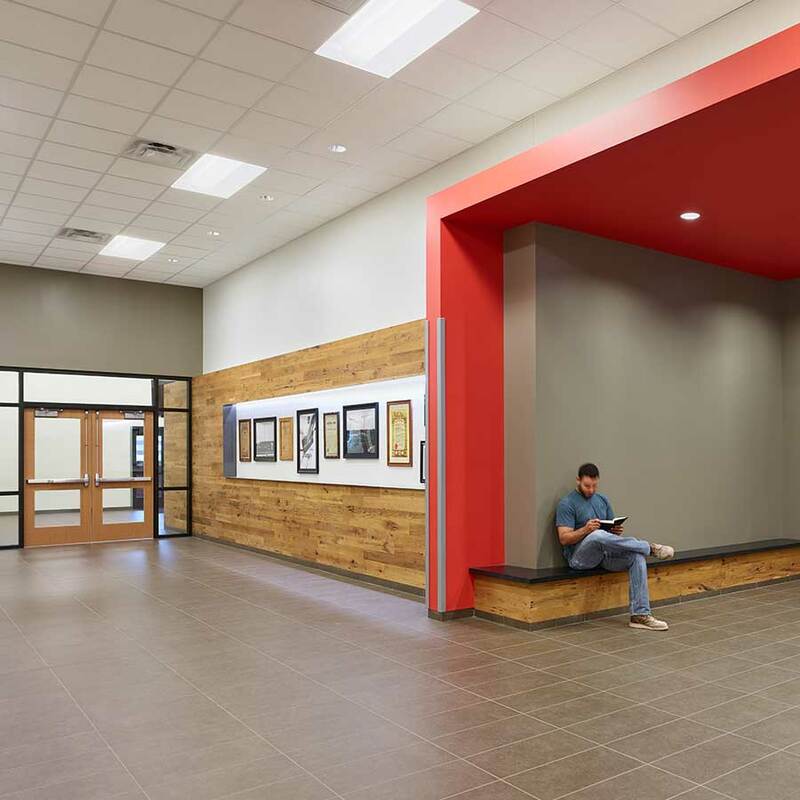 Apprentices and instructors have the room and storage they need for all their trades to learn in this new training facility. 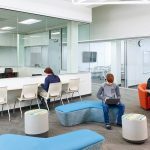 Moving from an older, smaller space to an adapted former big box store gave the Carpenters Union not just the right amount but the right type of space to combine its training facility with its regional offices. 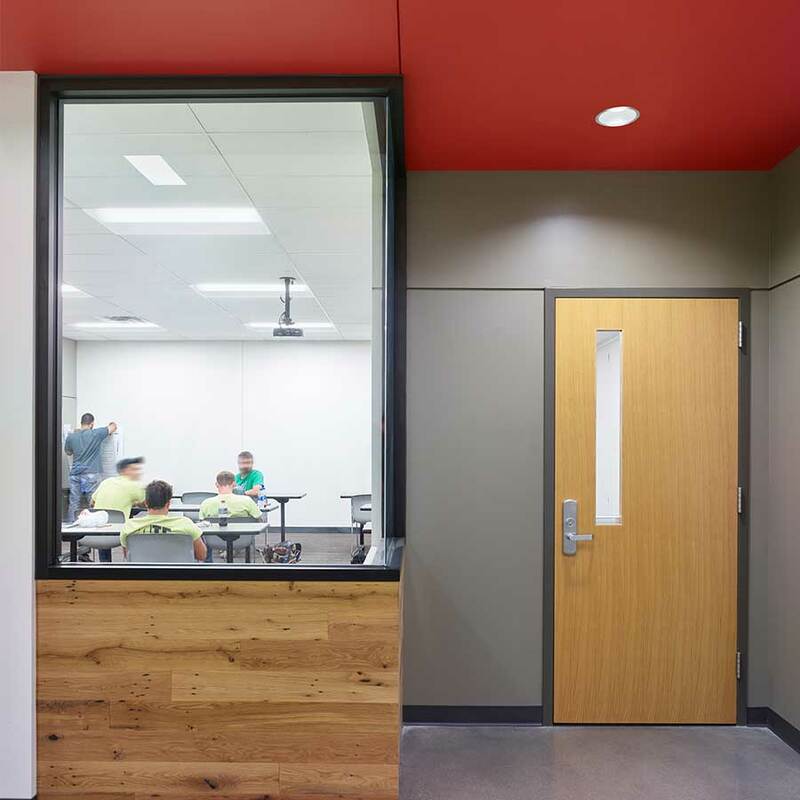 Apprentices split their time between classrooms and the workshop, so every classroom is physically or visually connected to the workshop. 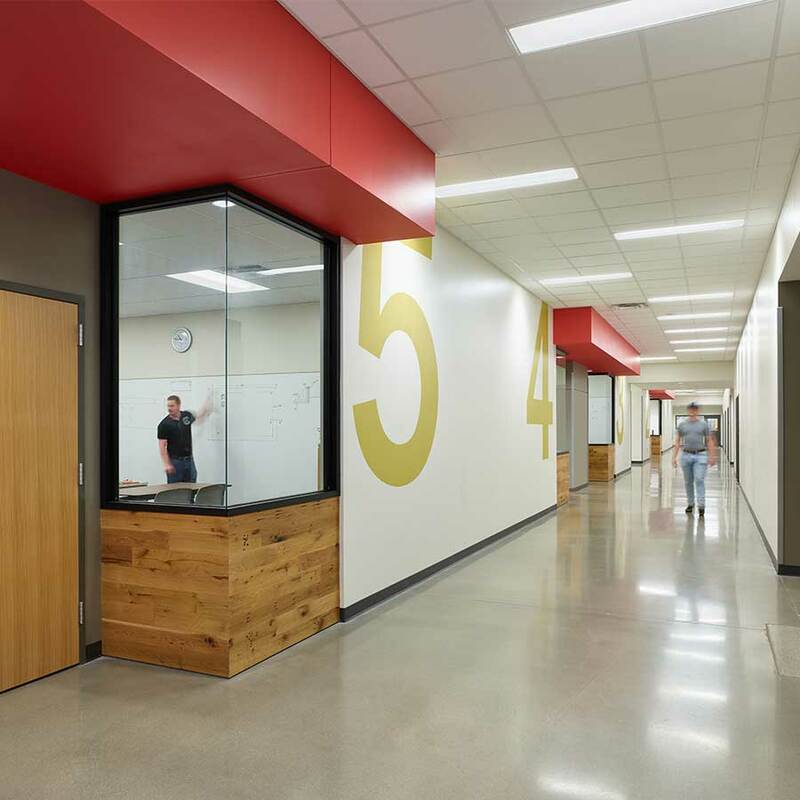 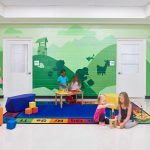 Large graphics make the room numbers easily visible from anywhere in the facility. 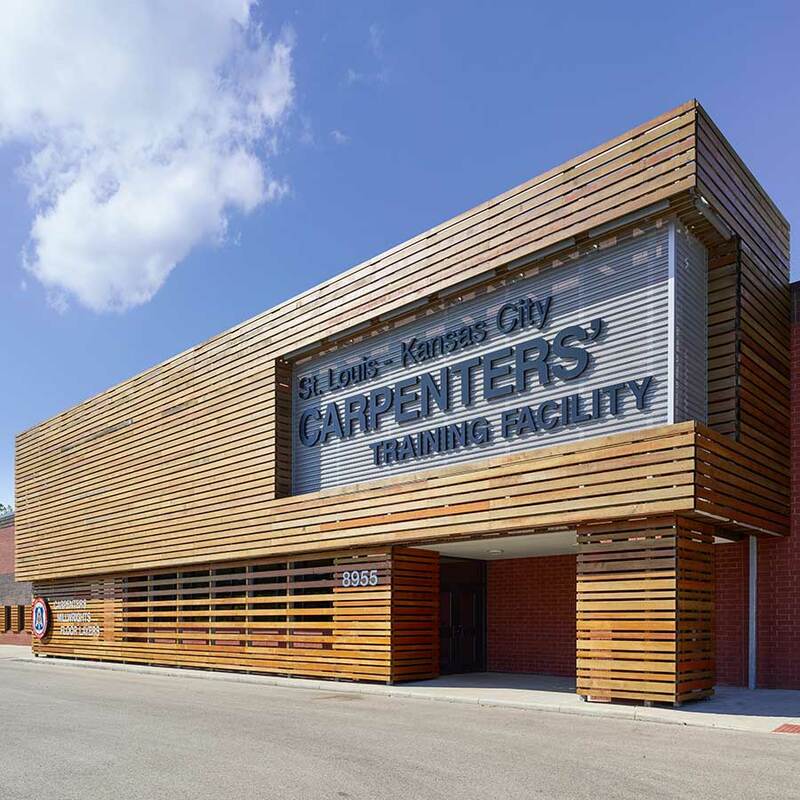 This facility also serves as the regional office for the Carpenters Union of Kansas City – St. Louis. 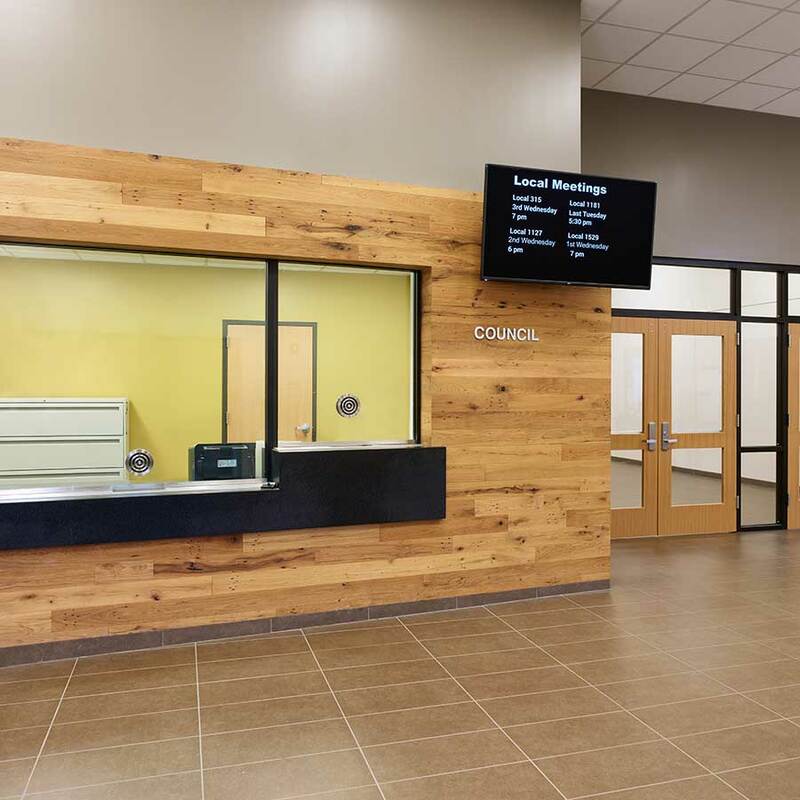 The front of the space features an administrative suite, and the facility also has the ability to open up for public events including community meetings and political rallies.